Portfolio Overwriting- Selling Covered Calls on Stocks You Want to Keep. For covered call writers the main stock option strategy is to purchase an equity specifically for the purpose of selling the corresponding call option. The investment time frame is one to two months as earnings reports will end the “run” of even the best performing equities (if you agree with my guidelines). In many cases share assignment is permitted by the seller and even if early assignment occurs, our investment would still have been a successful one. In other words, losing (selling) the stock is no problem and really just part of the strategy. There are other investors who sell call options in a different manner, called portfolio overwriting. In this instance, a call option is sold on a stock already part of an existing portfolio. That option is selected in a manner where it is NOT expected to be exercised. Remember that you need to own 100 shares for every options contract sold. This is basically a tax issue. The holding period for short-term versus long-term capital gains is one year. If the stock has been held for less than that time frame, the writer would prefer to retain the equity for a longer time frame. In addition, if the shares have appreciated substantially from the cost basis, selling in any time frame may not be in the investor’s best interest. If the underlying stock has not accumulated the full 1-year holding period for long-term capital gains, covered call writing may suspend or eliminate the current accumulated holding period. It is advisable to consult with your tax advisor on this matter. If the share price remains below $40 by expiration Friday (the third Friday of the month) no action is needed on your part and you’re free to sell another option the next month. If the share price is above the strike price ($40) you can roll the option (buy it back and sell the next month option). If you need cash to buy back the options and don’t have it in your account, you can sell enough shares to buy back the options and retain a majority of the original shares. In keeping with our cash allocation and portfolio rebalancing requirements we would tend to sell shares that have appreciated the most and have a dominant position in our portfolio. This is a riskier strategy if keeping the stock is important to the investor but there is a case that can be made for it. It is generally used when the stock or market in general is declining and the ITM strikes will generate greater returns with more protection. Also, the higher delta of the option (amount the option changes with a corresponding $1 change in the stock price) will make it easier to close or roll the position (buy back the option). Investors also use the ITM approach in conjunction with technical analysis where support and resistance points are identified and ITM strikes are sold at resistance and closed or rolled if still ITM near expiration Friday. What if early assignment occurs? This will not occur often but it could eventually happen. In these cases, purchase an amount of shares equal to the obligation to deliver and notify your broker that these newly acquired shares should be indentified as the shares delivered to meet the option obligation. Check with your broker, before the fact, as to the best way to manage such scenarios. Portfolio overwriting provides many of the advantages of the buy-write strategy but because of tax implications, income goals and strike management differ and need to be fully understood before taking action. For the week, the S&P 500 was up 0.1% for a year-to-date return of 15%, including dividends. BCI: This site remains bullish on our economy but extremely cautious in the short term. Until the “fiscal cliff” issue is resolved positively we are establishing our positions with securities that have low implied volatility (low beta stocks and ETFs) and in-the-money strikes for additional downside protection. The Weekly Report for 12-07-12 has been uploaded to the Premium Member website and is available for download. I live in Australia and recently became a premium member. Can you recommend a discount broker I can use to trade US stocks? Thanks for your good work. Derek, see Alan’s 11/28/12 comment in the archives under the S&P Futures article. Thanks Steve. Very helpful. I’m new to the site. Alan, excellent article as always. I have a comment and a question. You wrote, “Why a Portfolio Overwriter does not want his shares assigned: This is basically a tax issue.” I think there is a second reason and it is for investors focussed on dividends. Many people buy a diversified basket of dividend paying stocks and unless the company lowers the dividend, they expect to hold these stocks forever. I find that writing OTM covered calls on these is an excellent enhancement to the dividend. Here’s my question. When using an overwriting strategy, I understand your points about watching the implied volatility, targeting a 1-1.5% return with the option premium, and/or selling a strike 5% higher than the share price. Instead of these, I’ve always used delta or even better the probability of being in-the-money (PITM) calculation as the way to select the strikes. This takes into account the implied volatility and gives us a statistically based reason for selecting the strike and can be consistently applied to both high and low volatility tickers. I’m interested in your thoughts about using delta or PITM as the way to choose OTM strikes for the overwriting strategy. You make an excellent point regarding dividend capture as another reason investors may not want to have the options exercised. Thank you for that comment. Alan, I have a second question. If one is using the portfolio overwrite strategy and/or a LEAPS strategy such that you want to hold the stocks for many months, is the weekly report still the best place to look for stocks to buy? I ask because the indicators used and stocks that go into weekly report are for a monthly strategy and I wondered if they would be the same as stocks that would come up in a search for a longer term strategy. Great question, Steve. I’ve been wrestling with this question for a long time (and your prior one as well!). As a life-long value investor, but also a firm believer in option selling, it’s been an ongoing challenge figuring out the optimal way to marry these philosophies. IBD’s stock selection methodology has a great track record, but it’s volatile and as a “value guy” I find it emotionally difficult to work with. As a consequence, I’ve largely stuck with my own stock selection methodology — modified to factor in relative strength and the Stock Scouter scoring system — but have often wondered whether my system would be at odds with selling short-term calls/puts. My response is YES with a caveat. All the stocks on our weekly list are great performers both fundamentally and technically with common sense requirements added in. From a technical aspect, I would change the parameters for the moving averages from 20-d ema and 100-d ema to 50-d sma and 200-d sma. if you plan to hold the stocks long-term. If your plan is to capture dividends and increase yield by selling LEAPS, I would recommend checking our “High Dividend Yield Stocks With Leaps” reports posted on the premium site in the “resources/downloads” section. These reports are updated quarterly for our premium members. Since you inquired about long-term investing I’ll mention that I am currently writing my 4th book geared to high school and college age students which highlights a long-term investing plan. I expect this book to be published in the first quarter of 2013. I own 500 shares of lulu which I would like to hold on to. I see its on your stock list this week. Current price is 72.53. I could sell the january 77.50 for 2.3% return or the january 80 for 1.4% return. Which would be a better choice? There is no right or wrong answer here. It’s personal preference although the 1.4% better fits my guidelines. Either way, be prepared to roll the option prior to 4PM EST on expiration Friday if the strike is in-the-money. My personal approach is to place the strike above recent strong resistance if I wanted to keep the stock. Understanding where sellers would step in would tend to give you a bit more confidence that the strike would not go ITM during the life of the trade. I also like to use delta…in particular as an approximation for the probability of the strike being ITM at expiration. Here the choice of the delta for the strike would be a function of the traders personal risk profile. Assuming that Alan used the pricing for GMCR as of Thurs or Fri of last week, being very conservative I might consider a strike of $41 or $42 because they are above recent resistance (which is also the top of a large gap back in April. If you believe in the key concepts of Alan’s methodology, then the most important factor in successful covered call trading is stock selection. 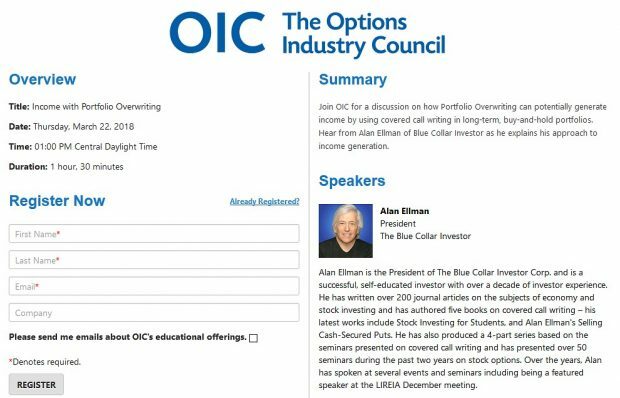 The BCI methodology helps you find the stocks that meet all of the systems requirements…hence Alan’s comments, i.e. : “finding the strongest stocks in the strongest industries”. This doesn’t change with the time frame that you are in the trade. If anything, weeklies would tend to fit well because of the shorter time duration of the trade…that is a shorter time that your trade is exposed to market forces. Also as mentioned in a posting last week, weekly returns tend to be a bit higher over the trading month compared a typical 1 month trade. can also use the report since these strategies behave like covered calls but use an option as a substitute for long stock. It is critical to understand that you need to have a very deep understanding of options as well as the appropriate approvals/permissions from your broker. The typical broker does not allow spread trading in IRAs and 401K rollover accounts.